The Florida Keys Seafood Festival is a time to celebrate and sample the fresh seafood harvest, supplied by the local fishermen and women of The Keys. The 2018 festival takes place the weekend of January 13-14. This year’s event includes many nautical vendors, hands-on activities for the kids, a boat show, live music and, of course, seafood. 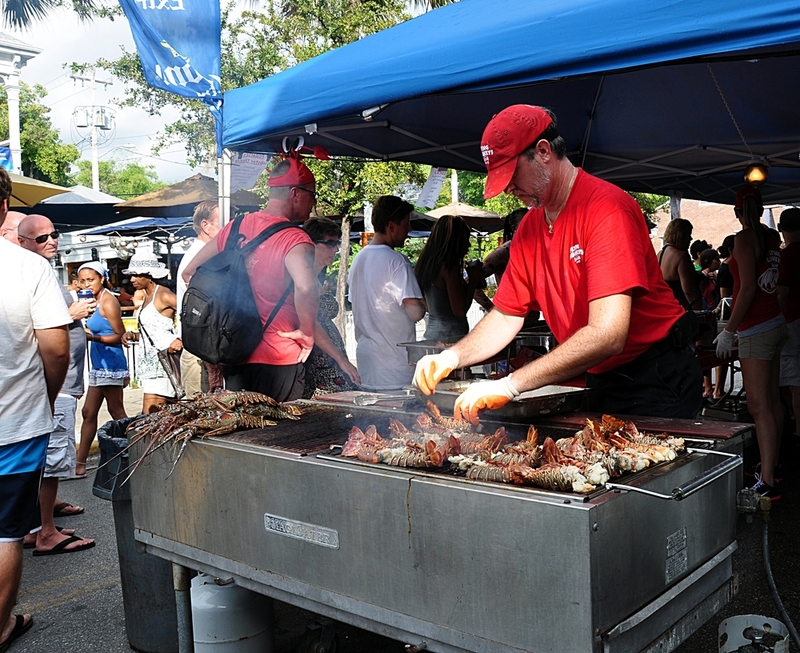 Want to get a sample of the best fare from the water? Available food choices include platters a-plenty. For real local fare unique to the area, sample the Florida spiny lobsters, conch fritters and conch ceviche, Key West pink shrimp and stone crab claws. For our guide to stone crab (in season through May), check out our latest post about these delicious crustaceans. Aside from seafood, food is also available for land lovers. Beer, wine, rum-runners and rumaritas will also be available for purchase. Live music runs throughout the weekend and includes Key West Caribbean-rhythm favorite Cayó Ritmo with Mustafa Akbar, Shanty Hounds, The Regs and Miss Demeanor on Saturday. Sunday features Miguel Perez and The Square Grouper, The Sauce Boss and Island Jam. As for the kids, hands-on activities will be available, as well as a Children’s Eco Discovery Zone. Boat enthusiasts can also enjoy a boat show featuring crafts from Caribee & Marathon Boat Yard. For those who want to hone their seafood culinary skills, celebrity chefs will present their best seafood prep and recipes hourly. The seafood festival is held at Bayview Park in Key West (1320 Truman Ave.) and runs from 11-8 p.m. Saturday and 11-5 p.m. Sunday. Admission is $5 and includes a raffle to win $250 in seafood. Parking is $5 in the high school lot and street parking is free. Remember to pack sunscreen and a hat, for although it’s winter, the sun is still shining here in Key West. For more info, check out the event website. Planning a trip to Key West? Check out our specials and book a stay at 24 North Hotel.